Just came back from watching a wonderful musical drama. What story line. What acting. What dances. What voices. So very nice. Glad to have had the opportunity to see it. So very well done. And did I mention that my Arrow was one of the cast? Haha! 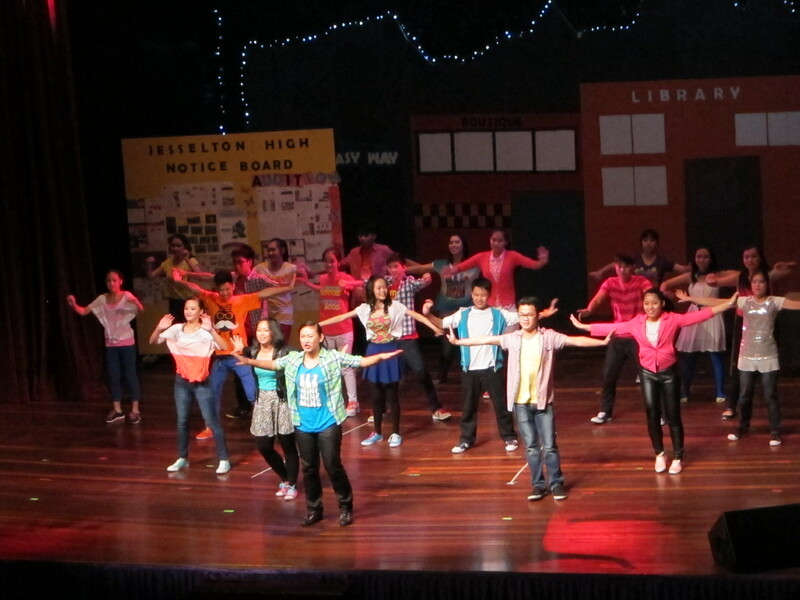 From the producer, to the director, from the choreographer to the dancers, from the actors to the props team…. Soooo proud of them all! This entry was posted on 06/09/2013 at 23:58 and is filed under Event, Family, Music. You can follow any responses to this entry through the RSS 2.0 feed. You can leave a response, or trackback from your own site. btw, that guy on the left and second row looks abit like david in this pose haha. Like David? Ahhhh if only he were here too =) Did you see the show? It was so good!